Dr. Warren has contributed chapters to five books and co-edited one title. His first sole-authored book was released in Fall 2017. This text depicts the ecology of people, moments, lessons, incidents, and interactions that collectively help determine the journey to and through college for seventeen young Black men from Chicago’s South Side. Counterstorytelling in Urban Preparation acknowledges the cultural strengths young Black men and boys bring to school with them, and the important role of Black communities in their educational attainment. This book examines how white women teacher dispositions (i.e. knowledge, beliefs, and skills) intersect (and/or interact) with their racial identity development, the concept of whiteness, institutional racism, and cultural perspectives of racial difference. All of which, as the authors in this volume argue, matter for nurturing a teaching practice that leads to more equitable schooling outcomes for youth of color. King, L., Warren, C. A., Bender, M., Finley, S. Y. (2016). #Blacklivesmatter as critical patriotism. In W. Journell (Ed.) Teaching social studies in an era of divisiveness: The challenges of discussing social issues in a non-partisan way (pp. 93-109). Lanham, MD: Rowman & Littlefield. Warren, C. A. (2015). Making relationships work: Elementary-age Black males and the schools that serve them. In S. R. Harper & J. L. Wood (Eds.) 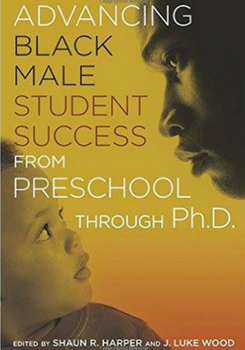 Advancing Black male student success from preschool through Ph.D. (pp. 21-43). Sterling, VA: Stylus Publishing. Warren, C. A. (2015). “I get angry”: The quandary of being postracial. In K. J. Fasching-Varner et al. (Eds.) 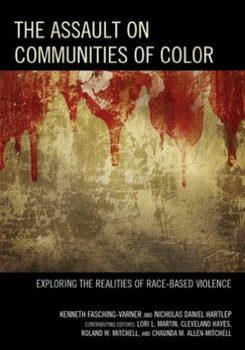 The assault on communities of color: Exploring the realities of race-based violence (pp. 29-32). Lanham, MD: Rowman & Littlefield. Warren, C. A. (2013). Being Black, being male, and choosing to teach in the 21st century: Understanding my role, embracing my call. In C. W. Lewis & I. Toldson (Eds.) Black male teachers: Diversifying the United States’ teacher workforce (pp. 167-182). United Kingdom: Emerald Group Publishing.